Madison McClure loved her work as a speech-language pathologist. But she began to notice a significant issue that affected her patients. She noted that because she only got to see them twice a week for 45 minutes, patients had difficulties maintaining progress between sessions. Plus, many times after patients were discharged, they weren’t able to keep up the progress they had made. Madison knew there needed to be some kind of product that she could provide to her patients — one that would help them maintain progress both between sessions and after discharge. Printed-out instructions often get lost or discarded. But software is easier to customize for each patient’s needs, and reduces the time and effort needed to create personalized treatment plans. For example, a patient requiring cognitive therapy might benefit from a matching game — connecting names and pictures or scenes from favorite movies to their titles — which Madison used to create by working overtime. But with more than 65 million Americans living with conditions that can be addressed by innovative software solutions — like Madison’s idea, the Cortex app — she knew there was a gap that could be filled. While there are apps that provide patient maintenance, they’re often expensive and disconnected. For one of Madison’s patients, she had to purchase and download more than 15 apps to provide specific treatment protocols. Clearly, this was neither simple or cost-effective. Without an “all-in-one” solution, patients and healthcare professionals had no real answer to the problem. For several years, Madison would talk about these issues with her husband Sky — who was her high school sweetheart (and is now COO of Cortex). Ever since she started her career, she would talk with Sky about her idea for the Cortex app. Sky had been working with a college student who, while on a school break, was trying to create their own app. All they had was an idea and some friends who could write code — inspiring Sky to begin efforts to develop the product on their own. With newfound enthusiasm, Sky applied to CodeLaunch unsure of how they would fare. But after making to the quarter-finals, then semi-finals, and then the top five of CodeLaunch V, the Cortex team began to believe. As finalists, the Cortex team got to consult with Melerick H. Mitchell, founder of Drive Influence. According to Madison, “Mel helped immensely with our pitch at CodeLaunch." Mel gave them specific, actionable advice — such as converting their idea into something tangible for the audience and CodeLaunch judges. Madison heeded this advice, demonstrating how the Cortex app could consolidate a heavy backpack full of treatment materials into one weightless solution. She put together a five-inch binder weighing about five pounds and dropped it loudly on stage — getting people’s attention and showing them how much information Cortex could provide patients. 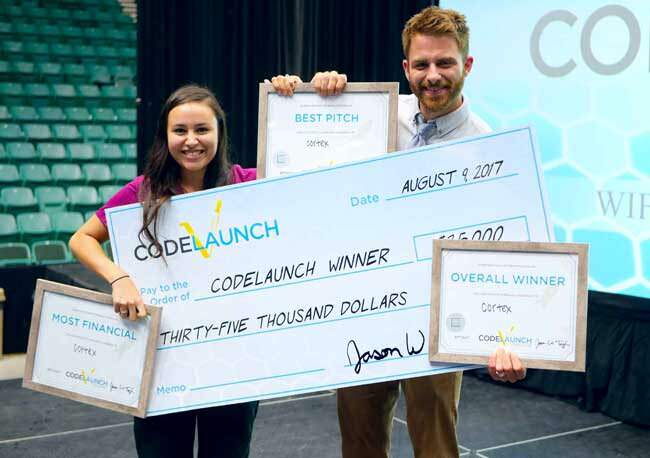 The Cortex team went on to win CodeLaunch V, and also received awards for “Best Pitch” and the “Most Financial Potential.” Their prize included more than $35,000 in seed services from both Code Authority’s software development team and sponsors who support the entrepreneurial community. But they also got much more. Martineli still keeps up with the McClures, offering advice that they’re happy to have. Via CodeLaunch, the Cortex team also connected with patent attorney Steven Thrasher, who helped them with their intellectual property and provisional patent application, “He’s an honest guy with a ton of integrity,” says Sky. 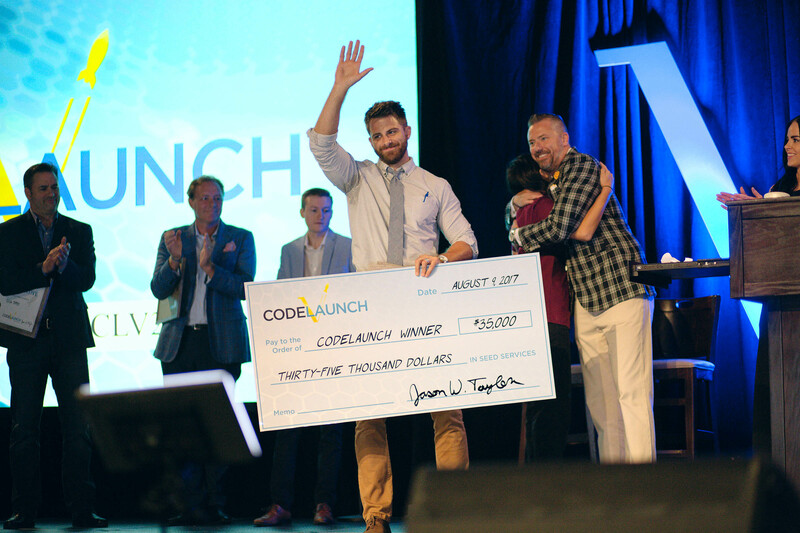 And thanks to the exposure they received as the CodeLaunch winner, they were provided with a shared workspace by Stoke — who is also paying to send them to the FUND Conference, which is open to the top 100 startups in the southwestern U.S., and is usually attended by more than 300 certified investors. But working with Code Authority has been the most significant prize for Cortex. Not only did they introduce the McClures to the CodeLaunch event, they held a 72-hour hackathon in which volunteers from their in-house software development team wrote a bunch of code for their app. An Important Follow-up with a Specialist After winning CodeLaunch, Madison and Sky reached out to a consultant who’s an expert in entrepreneurial ventures — Madison’s brother, Keaton George. 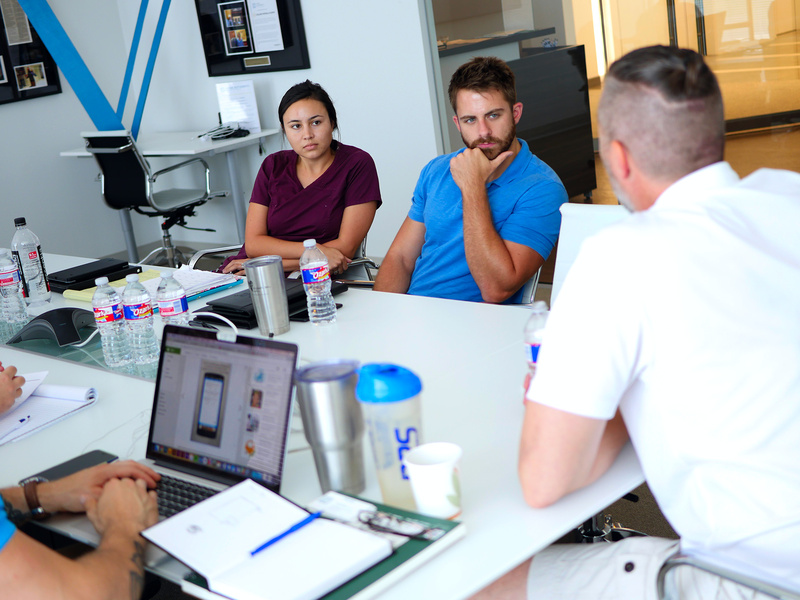 With experience consulting other entrepreneurs on how to develop their business plans, as well as formerly working for one of the fastest growing startups in the country, Keaton was excited about the opportunity to help Cortex grow. A year after their CodeLaunch victory, Keaton and Sky left their full-time jobs to focus on growing Cortex. Much of their time is now spent on discovery, research and strategy — with a healthy dose of due diligence in creating a healthcare solution that works. The team is now focused on several goals: clinical trial design with a top-tier university partner; continued efforts in raising capital; marketing activities; and expansion strategies with an executable plan. 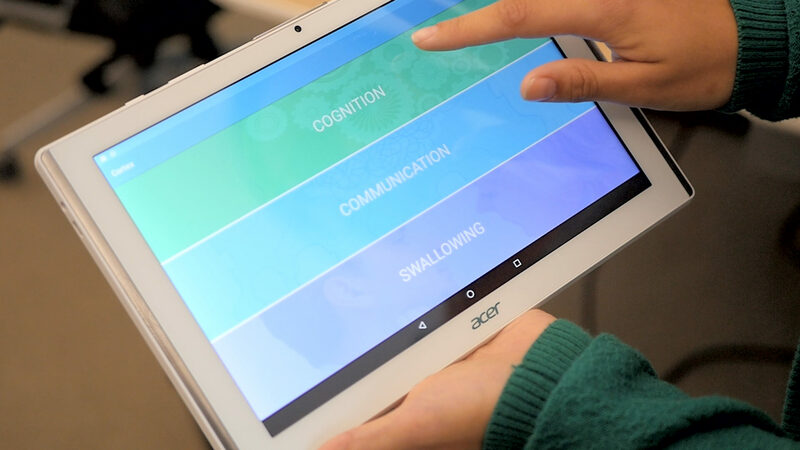 The Cortex concept — enabling patients to maintain their progress between sessions and after discharge — actually reflects this unique startup’s path to growth. While they have done all the right things on a daily basis, they are also well aware of what they need to do moving forward. There’s one thing that the whole Cortex team agrees on — that at some point, you have to take the jump. “You can only do so much analysis and conjecture,” says Keaton. “Ultimately, you have to trust your gut, your personal intuition based on analysis and due diligence. And Madison, Sky, and Keaton are all glad they took that jump with Cortex!